Yeah, we are a little crazy. 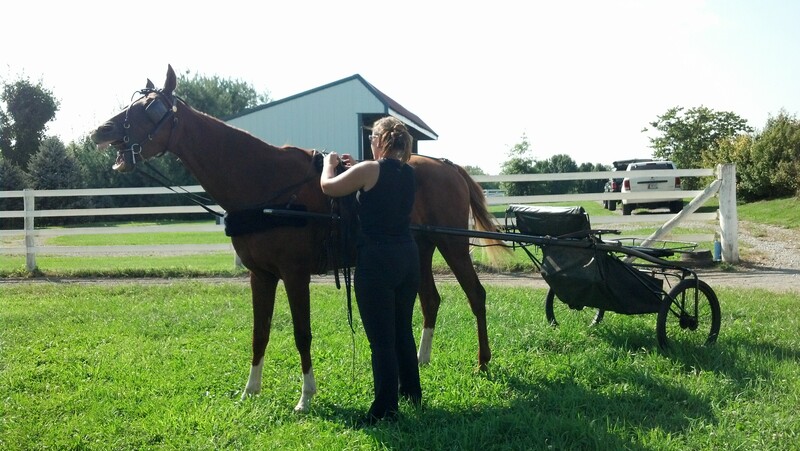 We went and bought a show cart and harness, stuck it in the back of Kayla’s dad’s truck, hauled it 2 hours home, and immediately hitched Fiz up and drove him! He was a little bit confused by our antics, but he played along. ******UPDATE****** Just a few short weeks after the first cart, we got a SECOND cart. A very inexpensive one we plan to use for regular jogging. It needed some work. 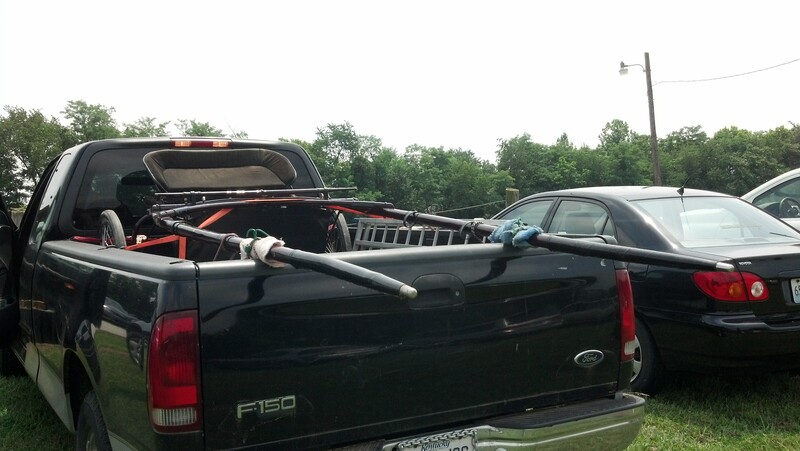 One of the pieces was bent causing the wheels to be inverted, and the cart not useable. We used our skills and cheapskat-edness to take the cart apart and repair the bent pieces. 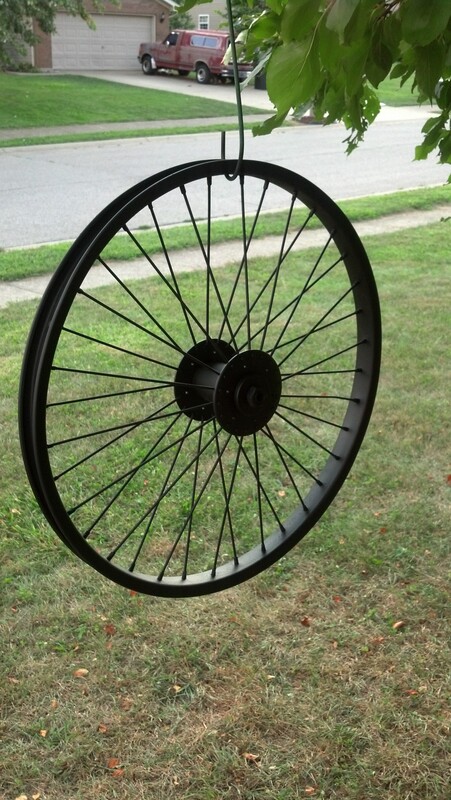 We painted the rusty wheels, and we put it all back together!! 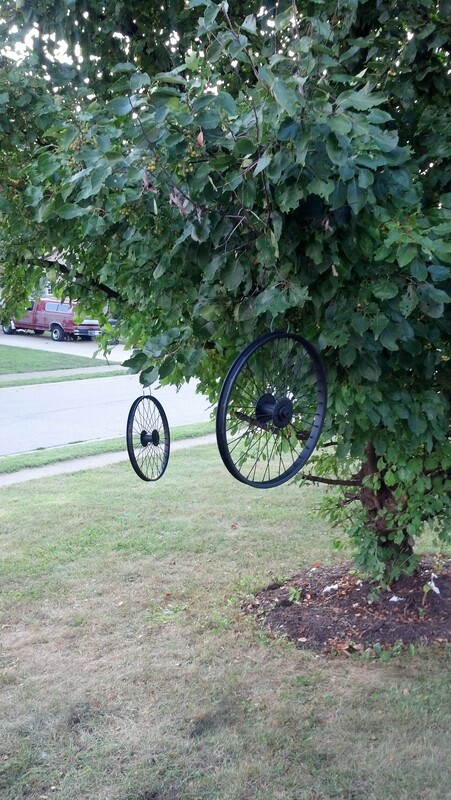 That’s right, we hang jog cart wheels from our trees to paint them. But that’s OK, the end result was nice. But again, he went along with us, and drove right along like a good boy. ******UPDATE*******Since our first few drives, it’s not been all “Driving Miss Daisy. 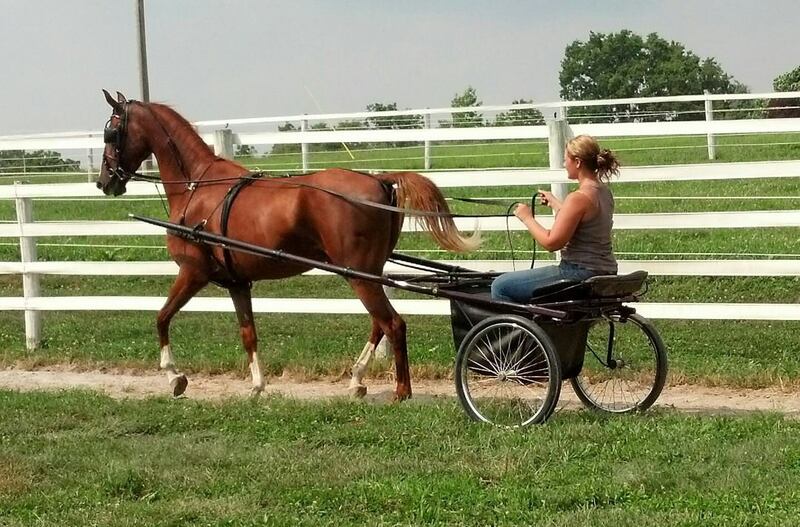 We have had some temper tantrums thrown and some issues have been had (which are not exclusive to in harness, they are under saddle as well) but we will be starting to work on them in the VERY near future. Even Fiz’s worst temper tantrums aren’t all that scary. 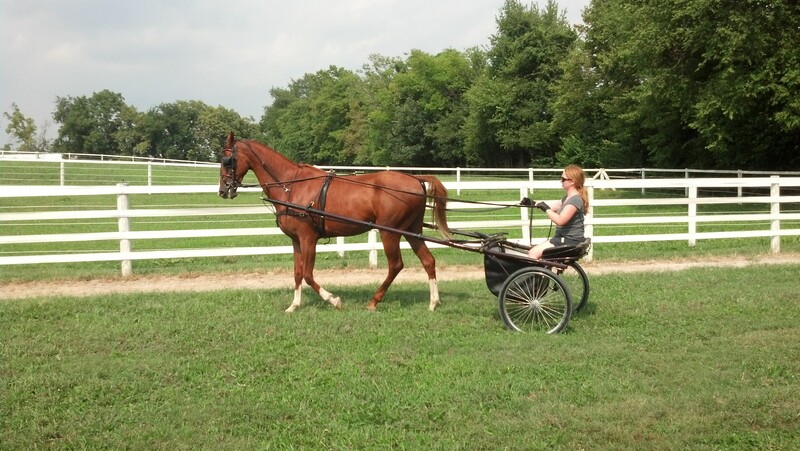 For a young Saddlebred we are pretty fortunate. He could be a LOT worse! 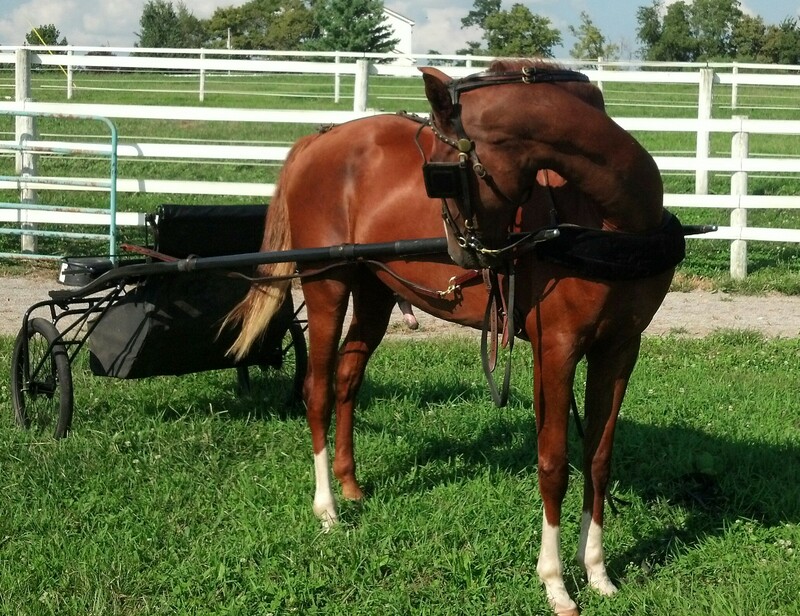 ← Who needs a fly mask?